We've seen plenty of manufacturers present smaller chassis and simpler coolers over the course of the past 12 months, but what if you still subscribe to the argument that bigger is better? If that sounds like you, you may want to turn your attention to Thermaltake, whose CES 2016 showings are about as extreme as they come. Take, for example, the £350 Core WP100 chassis. Shipped to the consumer in flat-pack form, this beastie is designed to be assembled by the user and brings new meaning to a DIY PC. When put together, the gargantuan frame can be home to more than 20 hard disks and probably the biggest motherboard you can find - be it XL-ATX, E-ATX or SSI MEB. 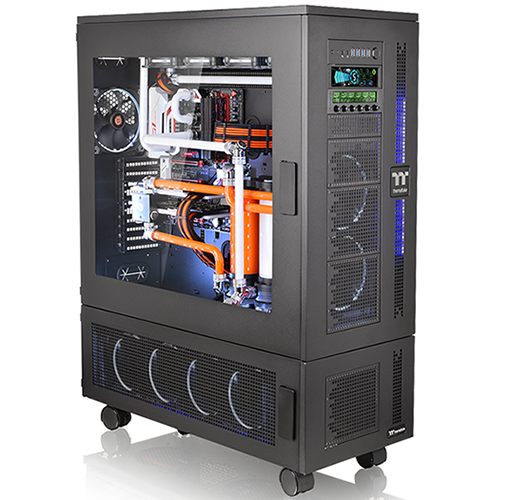 You'll also have 10 expansion slots to play with, and more fan-mount opportunities than you're ever likely to need. 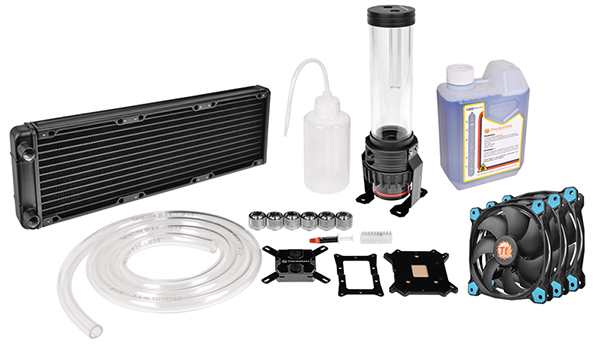 You're obviously going to want to liquid-cool such a machine, and the Pacific R360 Water Cooling Kit seems a good place to start. It includes a CPU water block, D5 pump and reservoir, half-a-dozen compression fittings, a trio of fans, coolant, tubing and a 360mm radiator. And as Shannon demonstrated in the above video, if the kit doesn't contain the part you want, you can almost guarantee Thermaltake has a solution for your particular loop. 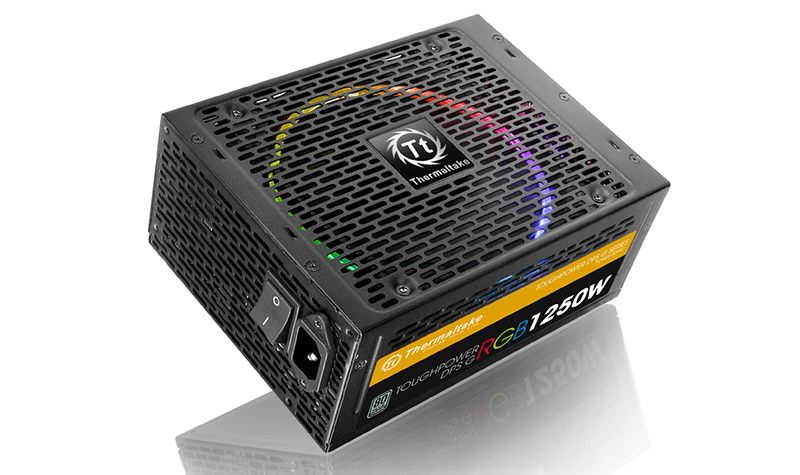 Last but not least, the Taiwanese firm continued its enthusiast march with the Toughpower DPS G RGB 1,250W power supply. This modular unit touts 80 Plus Titanium certification, a 256-colour RGB fan, flat and sleeved cabling, as well as support for the Smart Power Management platform. Tasty stuff, but are rigs of such stature a thing of the past, or do products such as these rekindle your desire to build a monster PC fit for the modern age? And it shows off the impressive Level 20 RGB BattleStation Gaming Desk too. 66 QOTW: Who makes the best PSUs? Reputation can count for a lot in this segment, so who do you tend to trust? 46 QOTW: Who makes the best PC chassis? Every build should start with a good enclosure. Who do you turn to?